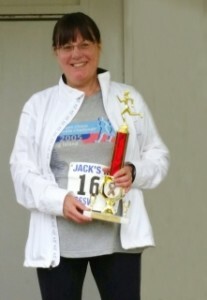 Donnalynn Darling, Chair of Meyer Suozzi’s Personal Injury Law and Education Law Practices came in first place in her age division at the Ninth annual Jack’s Run to support Nassau Suffolk Services for Autism. The race took place on May 9th at North Hempstead Beach Park. Darling sits on the Executive Board of Variety Child Learning Center and represents students and children with special needs in their quest to obtain legally mandated educational services.